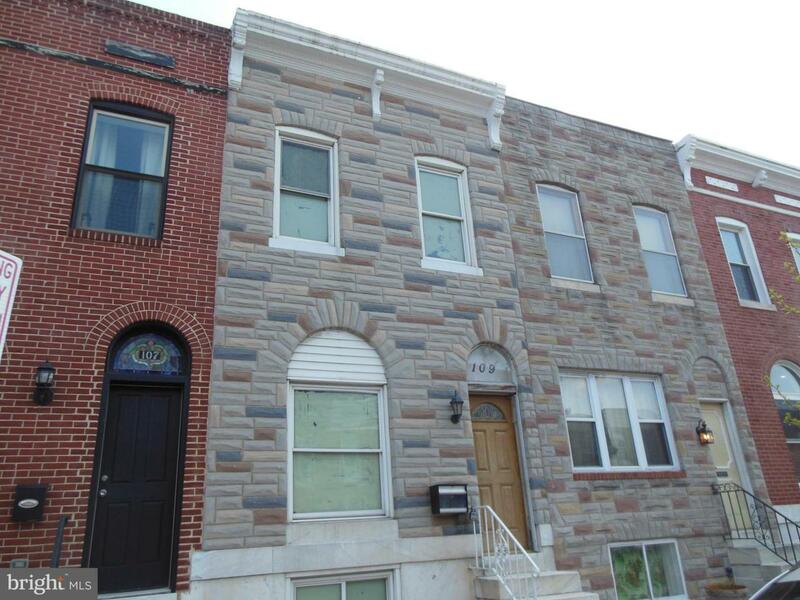 Renovation opportunity awaits you in the popular Patterson Park area. This 14x73 lot size has much of the work completed: CHAP preliminary approval, HVAC rough in, electric rough in, plumbing rough in, and framing completed. Permits have been pulled and followed making this an easier step to a great investment opportunity or it can be an opportunity for an owner occupant to complete this home with your own desired finishes. This property is being sold 100% AS IS and buyer to pay all transfer and recordation taxes. Please use caution in entering this home since it is under construction. Do not enter this home unless in daylight hours since lighting is not available in all areas. Bring your offers today. Cash, hard money, or renovations loans are acceptable. Listing courtesy of Keller Williams Legacy Metropolitan.